The BZB are multifunctional facilities for the 48 building trade guilds in the administrative district of Dusseldorf. Members are 2.500 construction firms. Tasks are the initial vocational training for apprentices in the 15 occupations of construction as well as continuing training for higher professionals. Co-operation with German Labour Agency in the field of demand driven retraining of people. BZB run 4 branches and participate in numerous projects. These projects are of regional, national, European and international scope. On the European level BZB realize numerous exchange programmes for apprentices, trainers and VET-experts, mostly with partners in the European network RE.FORM.E. BZB are certified by DIN ISO EN 9001 and run a Technology Transfer Office. BZB execute various IT- and pilot-projects with innovative and trend-setting impact. 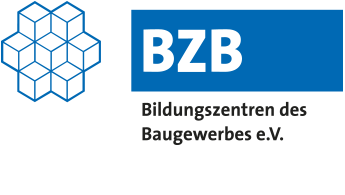 BZB provide a lot of experience because BZB are actively involved in the EU projects for over 15 years.